What are the Best Supplements for Fighters? 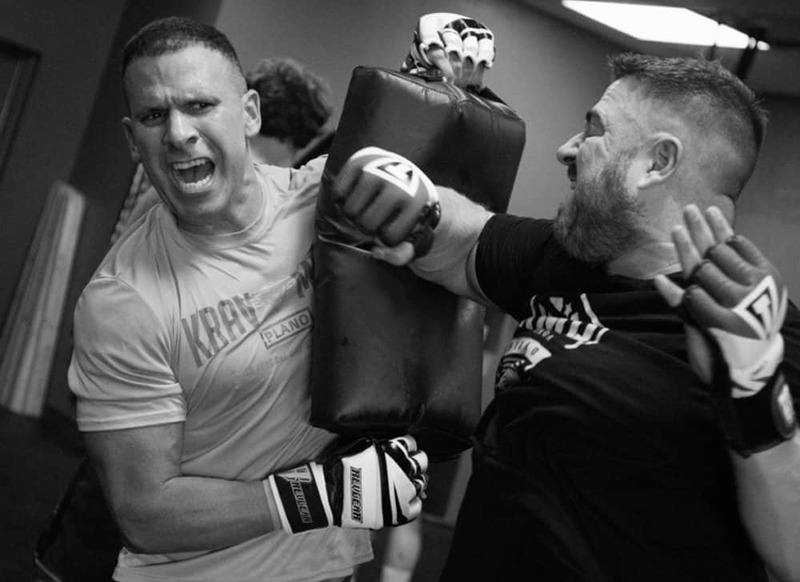 If you train MMA, Muay Thai, Brazilian Jiu Jitsu, or even Boxing, then you probably know that combat sports is one of the most rigorous training activities you can engage in. If you’ve never trained combat sports before then it may be hard to understand how exhausting it can be to physically and mentally compete with another human being. Whether you’re training your skill-set or sparring with a competitor, you want to be sure that your body is performing at its absolute highest peak. 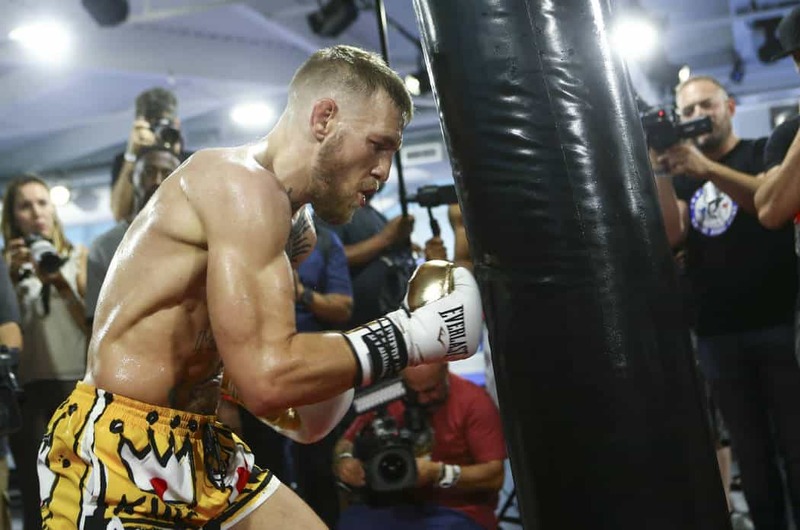 A typical week of combat sports involves training your skills and techniques, cardiovascular and strength training, and even sparring in many cases. This is a lot of work for the body, you want to be sure you’re properly nourished so that you can physically and mentally compete at your best. The problem is that many people aren’t properly nourished because they are consistently balancing training with school work or a job. It can be nearly impossible to properly replenish your body with the nutrients it needs to perform at the highest ability. Which is why supplements are so important to professional MMA fighters and athletes who rely on them to enhance their performance outside of the gym. The main reason why fighters should use supplements is because it helps nourish their body and keep them in tip-top physical and mental shape. I think we all know how intense a combat sports workout can be. Combat sports is different than weight lifting because you’re constantly challenged by another human being looking to use their skill set to inflict damage on you, where as in weight lifting you are strictly challenging yourself with typically no danger involved. I’m not saying weight lifting is easy or anything, I actually love weight lifting myself and it can be beneficial to martial arts as well. However, weight lifting is not nearly as satisfying as martial arts training when it comes to truly challenging yourself. Martial arts training also has many difficulties that isn’t always involved in weight training. There is fighters cutting weight, much more cardiovascular and stamina training, and even much more mental training involved in martial arts. 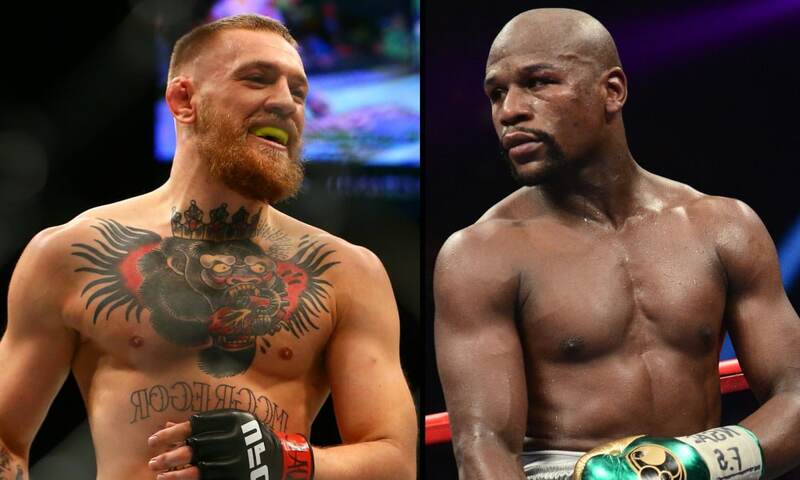 After all, fighting is all about challenging yourself against another human being, what could be more difficult than that? Combat sports athletes face more physical and mental challenges than any other activity. MMA Fighters specifically are expected to display high levels of stamina, power, and endurance while training and competing. Combat sports athletes also need to worry about the dangers their opponents possess, which is something that isn’t required in any other activity in the world. Each time a fighter steps into the octagon or ring, they put their lives and long-term health at risk. Many people don’t know that pre-fight camps are almost always accompanied by an assortment of injuries and a draining weight cut just to meet the weight requirements for fight night. This type of stress can leave a fighter completed drained and unmotivated for a fight, which is another reason why recovery should be the utmost importance to fighters and combat sports participants. Even if you’re not fighting in an octagon or ring anytime soon, you should always have your body in the best shape possible, which is where the importance of supplements come into play. A vital part of insuring a successful training session is involving a pre-workout supplement that gives you the physical energy and mental focus you need to perform. Many pre-workout supplements will give you jitters and eventually make you crash, which is why it’s important to choose your supplements carefully. Not all pre-workouts are made the same, and you need to be extra careful when buying pre-workout for combat sports. A good pre-workout will give you a small boost of energy, however, a great pre-workout will prepare your mind and give you the proper nutrients to energize you through a full workout and not just give you a 30 minute boost and inevitable crash. This is why it’s absolutely vital to choose your pre-workout supplement very carefully, the last thing you want is a pre-workout that makes your actual workout worse. 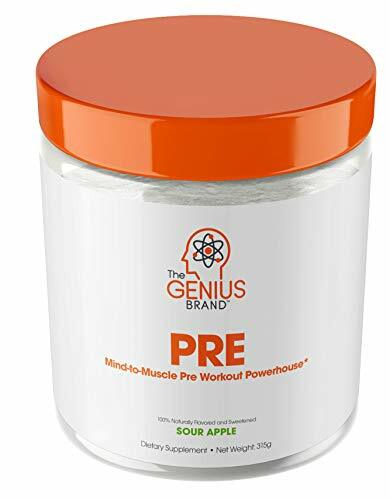 Genius Pre Workout is one of my favorite pre-workout powders because they changed the way people see pre-workout. With no artificial flavors and no caffeine stimulants, this is one of the most healthy and natural pre-workouts on the market today. All of the vegan friendly and organic ingredients is why this is one of the best pre-workouts for mma fighters today. When you’re a mixed martial artist, the last thing you want is a pre-workout that fills you with unnatural chemicals, especially when a majority of your workout relies on stamina and endurance. The Genius pre-workout powder will keep your mind and muscles sharp and ready at all times. The only downside to this product is that it’s expensive for only 20 servings. I highly recommend trying Genius brand products if you haven’t yet, you won’t be disappointed. Naked Energy may be the most natural and organic pre-workout supplement on the market right now. Whenever you have natural and organic option available I highly recommend going that route. This “all natural” trend is something that has been uprising in the fitness world and it’s changing the supplements industry as a whole. Naked Energy is a brand that has been a leader in this “all natural” trend, offering unflavored options for their drink supplements. Most professional fighters eat all natural foods, some even eat a completely vegan diet. So it’s no surprise that almost all MMA fighters these days only take the best of the best when it comes to supplements. Naked Energy is a product that fits perfectly inline with these ideals, providing only the most natural ingredients for their products. I highly recommend Naked Energy if you’re looking for an all-natural boost of energy with no accompanying crash. Naked Energy comes with a phenomenal value at 50 servings. Branched Chain Amino Acids (otherwise known as “BCAAs”) are three essential amino acids (Isoleucine, Leucine, and Valine) that you body can’t produce by itself. In other words, the only way to get the proper BCAAs needed is through food consumption or supplement intake. If you don’t have the sufficient BCAA levels in your system your body’s muscle tissue will break down in order to replenish its BCAA needs (something you obviously don’t want to happen). Intense cardiovascular workouts (such as ones in combat sports) deplete your BCAA levels which means it’s absolutely vital that you replenish these levels with a good and natural supplement. BCAAs will also help replenish glutamine which is another important amino acid which helps your body function at its highest level. 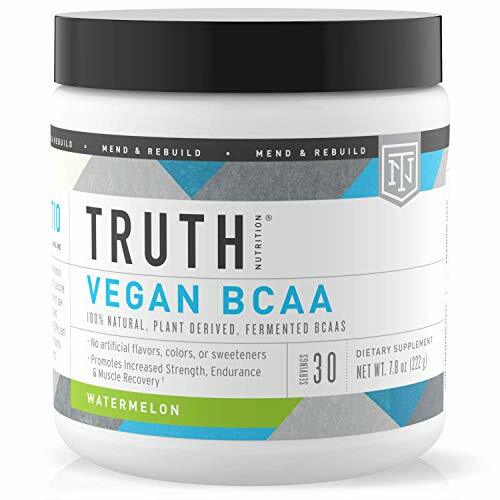 Truth Vegan BCAA might be the best BCAA powder on the market right now. The great thing about Truth Vegan is that their supplements are completely natural with no synthetic ingredients and 100% vegan friendly. I’ve taken this powder for a very long time and I haven’t been disappointed yet. This product is great for fighters who want a non-jittery kick of energy for their workouts. The only downside to Truth Vegan BCAAs is that this product is on the high end when it comes to price, however, in my experience nothing comes before health and this product is definitely worth every penny. I highly recommend at least trying out these BCAAs and see how you feel on them, all organic ingredients so you know what you’re putting in your body is natural. 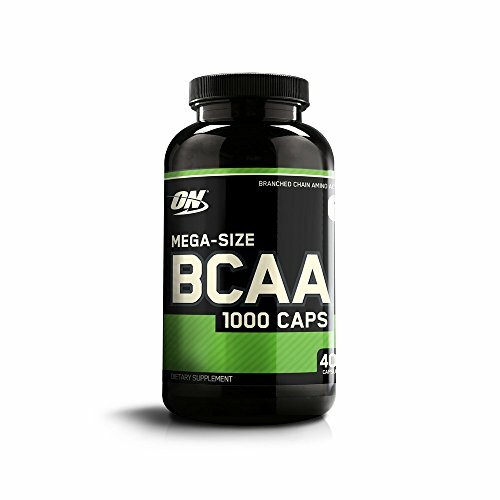 Optimum Nutrition BCAAs are slightly different because they come in a capsule form and not in a powder. If you’re someone who is short on time and would like an easy fix of BCAAs then this product is definitely for you. This product has one of the best values because it’s so inexpensive and yet it’s one of the highest rated BCAAs on the market today. Optimum Nutrition (ON) is a reputable brand that provides all types of supplements for athletes looking to build muscle and lessen recovery time. You can feel safe knowing that their products have helped many people reach their physical goals. With multiple serving sizes to choose from, there really is no reason not to try and see if Optimum Nutrition BCAAs can help you reach the next level. Creatine is another supplement that has shown to improve recovery from intense exercise. Creatine is made up of three amino acids: Glycine, Methionine, and Arginine. Our bodies naturally contain a compound called adenosine triphosphate (ATP), which is an available source of energy that your body naturally uses whenever you lift a weight, hit the heavy bag, or even shoot for a take down. The problem with relying on ATP all the time is that this energy source only lasts about 10-15 seconds, which is where the importance of creatine comes into play. Creatine creates more ATP in the body, which in return results in more muscular energy to work with. As you can imagine creatine can become pretty useful for combat sports athletes because we all can use a little extra energy during those hard training sessions. 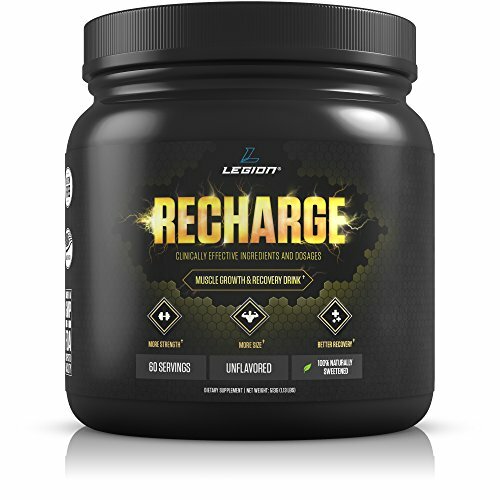 Legion Recharge is one of the highest rated creatine powders available today. Legion makes their creatine with natural flavors in mind, although there is also an unflavored option available. There really isn’t anything negative to say about this creatine powder, other than it may cause an upset stomach (although very rare) if you’re sensitive to supplements. I personally use Legion Recharge creatine because I know it’s the best available for the price. The best thing about this supplement is that it contains pure creatine monohydrate which is the best natural growth supplement you can buy, safe for MMA fighters and BJJ practitioners who want to take a natural creatine powder. If you’re serious about getting gains after a workout then this creatine powder is worth a try. MusclePharm (better known as MP) is a reputable brand in the fitness industry and makes quality products that are inexpensive to use consistently. MP makes all of their products for professional athletes so they make sure that quality control is the upmost importance, double checking that all supplements they produce aren’t on any banned-substance lists (which it’s also important to always double check if you’re a professional athlete as well). The MP Essentials Creatine is a quality creatine powder that is available in multiple serving sizes (60, 120, and 200 servings available) and all serving sizes hold great value when compared to top brands in the industry. The only downside to this creatine powder is that it can taste somewhat “gritty” if you don’t mix it well enough. 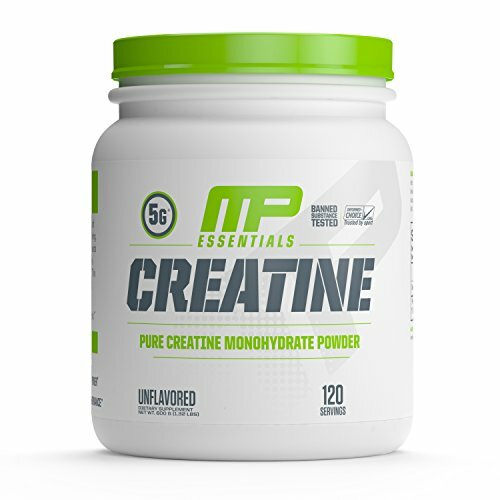 If you’re someone who is looking to purchase one of the best creatine powders for an inexpensive price, then MP Essentials is the product for you. One supplement I think we’re all familiar with is protein. Protein is a nutrient needed by the human body for growth and maintenance. Protein can come from many sources: eggs, beef, chicken, fish, as well as many vegetarian alternatives. Protein is one of the most important nutrients for combat sports athletes and all athletes in general because your body uses protein to feed muscle and help you recover faster. If you’re interested in finding the best protein powder for fighting, we recommend checking out our Ultimate Guide to Protein Powder for MMA Fighters. Many people think that protein powder and MMA don’t mix, however, not taking enough protein will result in losing lean muscle tissue which will make you weaker, and this is just about the last thing you want happening as a fighter. This is why it’s important to not only get protein nutrients from food but to also maximize muscle growth by also taking a protein power. I specifically buy whey protein powder because it’s one of the best sources of protein you can take. Another great thing about protein powder is that there are so many different options to choose from, even some vegan options that are just as good for your body. Even if you eat a high protein diet I still recommend grabbing a high quality protein powder supplement. If you’re ever worked out while growing up in high school then chances are you’ve heard of the gold standard in protein. Optimum Nutrition is a company that is very reputable in the fitness world (which is why we’ve included a few of their products on this article). This may be the best product OM has ever released to the public, with over 24g of blended whey protein, this product is second to none. What I love most about Optimum Nutrition is that they put the athletes first, always testing their supplements for banned substances, always enforcing the highest of quality control. This protein includes BCAAs and is gluten free, if this is something that you care about. Although it’s not a “vegan” product, it’s about as natural as you can get from a dairy product. The Gold Standard has over 20 different flavors to choose from which makes this the best protein powder for MMA fighters and athletes available today. 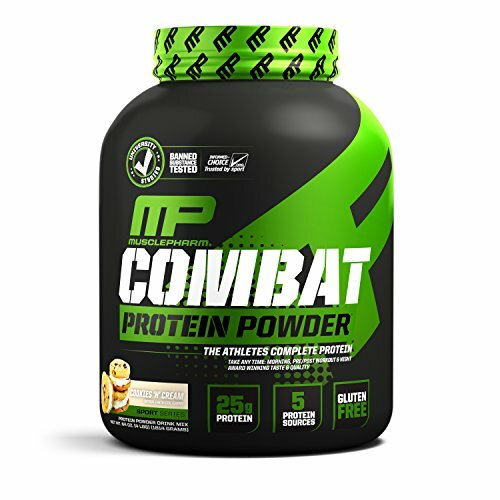 Another excellent protein powder is the MP Combat, this protein powder includes 25g of protein per serving! MP is a reputable brand so you won’t have to worry about any tainted supplements, all of their supplements are tested for substances on the banned substance list. With multiple flavor options and a very low price-point, the MP combat protein powder may be the choice for you. The only downside to this protein powder is that I personally have found it to taste very sweet, so if you don’t like sweet flavors I would avoid this protein powder. If taste is something that doesn’t bother you then this protein powder is the absolutely best value at the inexpensive price-point. MP Combat is one of the best protein powders for combat sport athletes today. 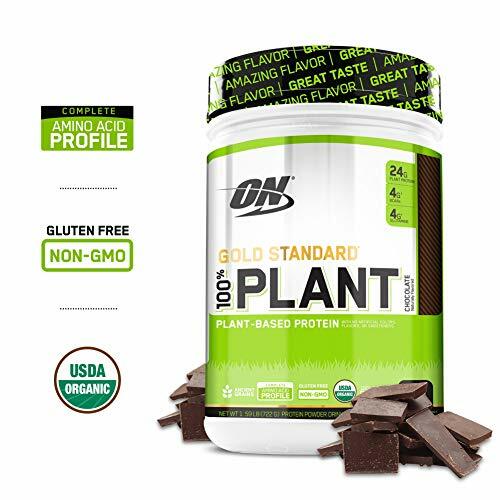 ON (Optimum Nutrition) Gold Standard Plant Based protein is the vegan version of the normal ON Gold Standard whey protein, which means you can buy a vegan protein powder that is already backed up by a reputable brand like ON. 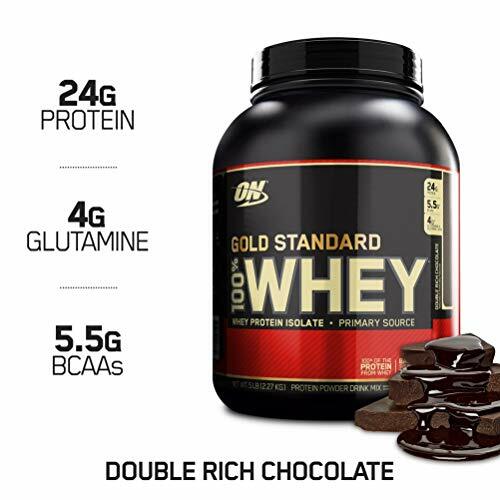 There really isn’t many differences between Gold Standard whey and Gold Standard plant based, they both have 24g of protein powder in each serving and they’re both on the higher end of price-point when it comes to protein powder. I’ve tried this protein powder numerous times and I have to say it’s almost identical to the standard whey protein, however, it is a tad bit more expensive because of the added natural ingredients. If you’re someone who likes ON supplements and want to go dairy free then I highly recommend trying out the Gold Standard plant based protein they offer. This is one of the best vegan protein powders for combat sports athletes today. Naked Pea Protein powder is actually a fantastic protein powder, I know many fighters who take this protein who aren’t even vegan. With 27g of all natural pea protein and no artificial flavors, it’s not hard to understand why so many people are starting to flip to all natural products. 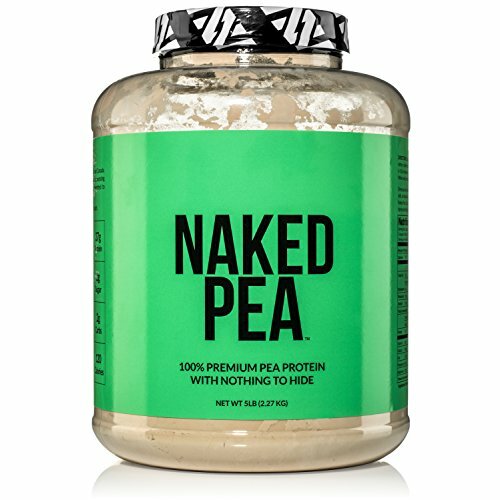 Naked Pea protein is non-GMO, soy & gluten free as well. Naked has multiple flavor choices including chocolate, vanilla, and even unflavored protein powder. The reason I personally take this protein is because it’s dairy free, although I’m not vegan I still love taking a product that I know is all organic and natural which will go easy on my digestive system. If you’re someone who has problems with normal whey protein or would just like to switch to something more natural, I highly recommend giving Naked Pea protein powder a try. Unless you’ve been living under a rock, you’ve probably heard about the countless benefits fish oil possesses, especially for athletes. There are too many benefits to list, however, the main ones include joint health, heart health, weight management, and increased brain function. The countless benefits of Omega-3s are important for combat sports athletes and professionals who train multiple times per week. The reason I personally use fish oil is because I always have joint pain from training Brazilian Jiu Jitsu. Any form of grappling can put a strain on your joints very quickly, which is why it’s always best to get help from natural supplements like fish oil. Training at any level of intensity can have a serious impact on your joints, which is why I always recommend fish oil to combat sports athletes to help lessen inflammation. Nordic Naturals Ultimate Omega is a supplement I’ve been using for almost a year now and have been loving the results. With 1280mg of Omega-3s per serving you know that you’ll be getting your boost of Omega-3s every single day. 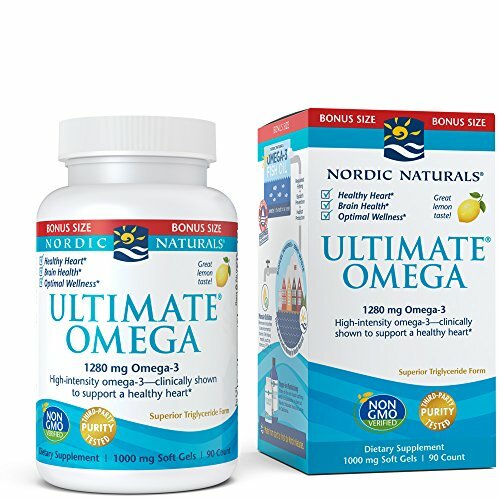 The only downside to Nordic Naturals Ultimate Omega is the price-point, however, I can personally say that this product is well worth every penny. This is the best fish oil supplement for MMA fighters and combat sports athletes in general. Nature’s Bounty Fish Oil is a quality supplement with an even better value. With 1200mg of Omega-3s per serving they come at an excellent value considering the price-point when compared to other fish oil supplements in the market. Nature’s Bounty is also a reputable brand that you can trust. The only downside to this supplement is that the pills are rather large and you have to take multiple pills per day to reach the 1200mg of Omega-3s. Are supplements absolutely needed to become a professional fighter? Of course not, however, there are way too many benefits of taking supplements to ignore and with the progression of vegan and organic supplements there really is no reason not to take them. I personally have struggled with digestive problems in the past when it came to whey protein because of the dairy involved, which is why switching to a vegan alternative was absolutely necessary for me. Many people are sensitive to caffeine or other ingredients, which is why it’s always important to understand what works best with your body and training regiment.